On September 19, Mayor Naheed Nenshi of Calgary, Alberta, presented at the LaFontaine-Baldwin Symposium, an annual event showcasing leading thinkers, hosted by the Institute for Canadian Citizenship and its co-founders and co-chairs, John Ralston Saul and the Right Honourable Adrienne Clarkson. As Canadians head to the polls for Canada’s 42nd federal general election, with permission from Mayor Nenshi, F&O republishes excerpts of his speech. I bring you greetings today from a place called Moh’kinsstis—the Elbow, a place where two great rivers meet. It’s the traditional land of the of the Blackfoot people, shared by the Beaver people of the Tsuu T’ina Nation and the Nakota people of the Stoney Nations, a place where we walk in the footprints of the Metis people. The Blackfoot people have honoured me with the name A’paistootsiipsii, meaning “Clan Leader: the one that moves camp while the others follow”. It is a name that humbles me. And it reminds me of the humbling responsibility I have every day. It is an honour to be with you here today, in this time of reconciliation, on the traditional lands of the the Huron-Wendat, the Hodnohshoneh and the Anishnabe. We are not on new land newly populated. We are on ancient land that has been the source of life for many people for thousands of years. For more than 5,000 years, people have lived, hunted, fished, met, and traded here. People have fought and loved—held fast to dreams and felt bitter disappointment. This is part of our collective history—a reminder that we are all treaty people. And our common future is one of opportunity for all. Today, I’m going to tell some stories. Some are personal, some have nothing to do with me. But I believe in the power of stories to help us better understand who we are, and crucially, who we want to be. So, please allow me to indulge in some origin stories, beginning with my own. My parents came to this country in 1971 when my mother was pregnant with me. I was therefore, born in Canada, but made in Tanzania. This summer, I went on a family trip. I took my mother and my sister’s family, and we all went back to Tanzania. Our little group ranged in age from six to 75, and we were exploring our roots. We saw the house my mum grew up in and the hospital where my sister was born and lots of elephants. But, more important, we reflected on our own roots. I stood on the shores of Lake Victoria in Mwanza and gazed across the lake. I realized that, if my parents had been born on the other side, instead of being immigrants in 1971 they would have been refugees in 1972. But I’m getting ahead of myself. In the early 1970s, my parents were working in a place called Arusha. Then, as now, Arusha was used for many international and UN meetings. My dad met some Canadians working for the Canadian International Development Agency (CIDA). They used to get the Toronto Star delivered to them, and dad, a voracious reader, used to ask for the newspaper when they were done with it. So he read, and he learned all about this strange place. One day, he read an article about the new city hall in Toronto. As he saw the pictures of that great building and Nathan Phillips Square, he was amazed. How do you build such a tall building, he wondered, and make it round? He resolved that, one day, he would see that city hall. A few years later, he got his chance. He had saved up so he could go to his sister’s wedding in London, England. He figured that, since he was in London, he might as well make a side trip to Toronto (I’m not sure he consulted a map). Just before leaving, they discovered my mum was pregnant and decided to go anyway, leaving my three-year-old sister with relatives. Much to my regret, they did eventually send for her. When they got to Toronto, they immediately fell in love with the place (it was summer). They felt a certain freedom, like their kids could do anything there, and they decided to stay. What followed was a very ordinary story familiar to so many of us. When my parents arrived, there were six Ismaili families in Toronto and they did prayer services at someone’s home. On Fridays, my mother would strip her only bed sheets off the bed, wash them by hand, hang them to dry (there was no nickel for the dryer), and hope they would be done in time to fold, take on the subway, and bring to evening services so there would be a decent cloth to cover the small tables and lend some dignity to the basement. Only a few months later, this little group of six families found themselves having to look after hundreds of Ismaili families—refugees from Uganda—and show them how to make it in this strange new place. They never once begrudged this. Even though they had so little, these new arrivals had even less. Even though my parents barely knew how to navigate Canada, the newcomers had no idea. So they got to work. It was the right thing to do. When I was a year old, having done my research and crafted a thorough argument, I convinced the family that our future was in the west, and we packed up a Dodge Dart and moved to Calgary. Sometimes we were very poor. Sometimes we were only mostly poor. But what we lacked in money, we gained in opportunity. I went to amazing public schools. I spent my Saturday afternoons at the public library. I learned to swim, kind of, at a public pool. I explored the city I love on public transit. And through it all, I was nurtured by a community that wanted me to succeed, that had a stake in me, and that cared about me. And in 2010, 20 months before he died, my dad, who loved Toronto City Hall, got to sit in another city hall and watch his son be sworn in as mayor. While that story may seem extraordinary in its details, what’s extraordinary is just how ordinary it is. It is a very Canadian story. It is a story of struggle, service, sweat and, ultimately, success. Almost every Canadian has such an origin story and every one is worth telling. And with each telling, we share in the story of who we are. …. when Canada works, it works better than anywhere. What we know is that the core strength of our community is not that there are carbon atoms in the ground in parts of this country and maple trees with amazing sap in others. What we know is that we’ve figured out a simple truth—one which evades too many in this broken world. And that simple truth is just this: nous sommes ici ensemble. We’re in this together. Our neighbour’s strength is our strength; the success of any one of us is the success of every one of us. And, more important, the failure of any one of us is the failure of every one of us. This means that our success is in that tolerance, that respect for pluralism, that generous sharing of opportunity with everyone, that innate sense that every single one of us, regardless of where we come from, regardless of what we look like, regardless of how we worship, regardless of whom we love, that every single one us deserves the chance right here, right now, to live a great Canadian life. But this is incredibly fragile. It must be protected always from the voices of intolerance, the voices of divisiveness, the voices of small mindedness, and the voices of hatred. It’s the right thing to do. And our fight is for that Canada. And I worry that, in our current public and political discourse, we are losing that fight. Let’s talk about Bill C-24. One of the highlights of my time as mayor is being able to go to citizenship ceremonies. Every time, without fail, I cry. I cry with joy to be with so many people to have chosen to be Canadian. They have worked so hard to be a citizen (in the formal sense of the term). They have taken on the great responsibility of being a Canadian. And I weep as I share in that special moment, talking about how growing up, I always wondered why my family all had these fancy citizenship certificates and all I had was a lousy birth certificate. As I grew up, I realized that those pieces of paper were not only the most valuable possessions we had, but that they were really the same. How is it that those individuals I get to watch saying their oath should somehow be less Canadian than others? How is it that we should allow it to be easier for our government to strip them of that privilege and responsibility of citizenship? How is it that I, born at Saint Mike’s in downtown Toronto, could be stripped of my Canadian citizenship? How did we let this happen? (An aside: two weeks ago, when asked about my concerns about this, a spokesperson for Minister Chris Alexander said “As for his views on our strengthened citizenship laws, unless he [Nenshi] intends to commit and be convicted by a Canadian court of acts of terrorism, treason, espionage or taking up arms against the Canadian military, he has nothing to worry about.” Not only does this person spectacularly miss the point, she doesn’t even know what the act that her boss is responsible for actually says. As Prime Minister Harper likes to say, look, let me be clear: either you believe in the rule of law in Canada, or you don’t. I am deeply troubled at the language of divisiveness we hear in Ottawa these days. The label of “terrorist” is thrown around with disturbing regularity. But it is not done haphazardly. It is targeted language that nearly always describes an act of violence done by someone who shares my own faith. The man who murdered Edmonton Constable Daniel Woodall was, we are told, a very unwell, dangerous man. The man who ran over two soldiers in Quebec was a “radicalized” terrorist. According to our Prime Minister, one of our greatest threats is of “Jihadi terrorism.” Well, sometimes he says “jihadist terrorism.” He generally avoids saying “Islamist terrorism” these days, so I guess there are small blessings. But this is very specific, very deliberate language. It ties violent action to a religious group—many of whom are Canadian citizens. It does little to understand the causes of violence or the potential solutions. Instead, it encourages division; the opposite of the Canada to which we aspire. The ridiculous debate on the niqab at citizenship ceremonies is another example. On the one hand, our government warns us of the radicalization of Muslim youth in our own communities. Law enforcement officers and community activists have repeatedly warned us that the cause of this radicalization is alienation and isolation; that the kids being radicialized are the same kids who join gangs. It truly is not about religion. So, we work hard to make these kids feel part of the community. But then, on the other hand, in order to give a sop to some elements in our society, the government picks a fight on a completely irrelevant issue. So the government announces it will appeal two court decisions (an unwinnable appeal if I’ve ever seen one) and spend millions of dollars of taxpayer money, to prevent one woman from voting. And those kids—the ones we are trying to convince that there’s a place for them in our society—are told that no matter what, they can never be truly Canadian. That their faith is incompatible with our values. All that good work on de-radicalization? Completely undermined by our own actions. When we act like this, whether the issue is dealing with the extraordinary human suffering of those fleeing conflict or the right to vote, we are failing ourselves, our nation, and the world. It’s the wrong thing to do. And I’m serious when I say “the world”. Canada, the idea of Canada, is a powerful beacon for all humanity. But here again, I fear we are failing. The government has been running commercials that end with the slogan, “Strong. Proud. Free.” (Who knew that countries have slogans). The Economist last week called us “strong, proud and free-riding.” A study by former CIDA president Robert Greenhill and Meg McQuillian indicates that our foreign aid performance from 2008-2014 ranks us dead last in the G7. In a recent interview, Mr. Greenhill suggests that that if spending had stayed at 1979 levels and the money been used to help destabilized countries, hundreds of thousands fewer people might now be fleeing, and thousands fewer dying. And it’s important to note that this is not a partisan argument. Our commitment to assisting in global poverty began to flag in 1995 and has largely continued for 20 years, under Liberal and Conservative governments. My friend John McArthur tells a story about a recent debate. December 2013 marked the multi-year replenishment deadline for the Global Fund to Fight AIDS, TB, and Malaria—one of the world’s most successful modern life-saving institutions. Months earlier, the United States and the United Kingdom had made their own anchor pledges. They also offered matching grants to help motivate other countries’ contributions. Nations such as Denmark, Finland, Norway, and Sweden each stepped in with commitments equivalent to $8 to $10 per citizen, per year. Canada, by contrast, left its decision to the final moment. After a flurry of last-minute internal deliberations, the government committed less than $220 million per year, or only $6 per Canadian. 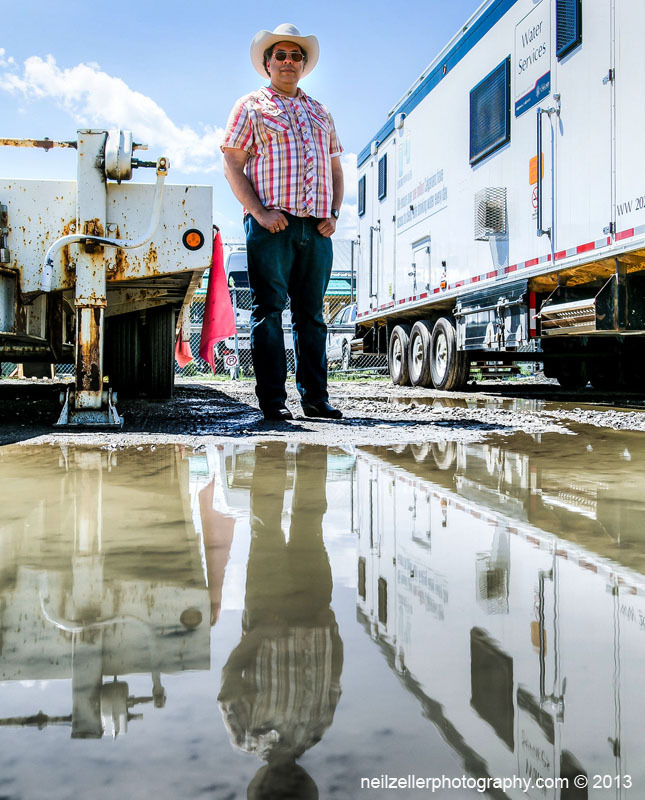 The lowball pledges from Canada and a few other countries meant that hundreds of millions in matching dollars were left on the table and the Global Fund suffered a billion-dollar annual shortfall. That billion-dollar shortfall will cost one million lives. And we bear too much of that responsibility. The shocking part of all of this is not that it happened, but that we collectively did not notice. It was as though we had stopped thinking about the world around us and about our role as leaders. I say we aspire to a better Canada in a better world, and that we have that power as citizens to make it happen. It’s the right thing to do. In just a few days … we will be witness on the other side of the continent to the largest gathering of world leaders in history. Those leaders will adopt a new series of Sustainable Development Goals—the Global Goals. They will commit to an extraordinary vision: a vision of a world free of poverty, hunger, disease, and want. A world of universal respect for human rights and human dignity. A world of equal opportunity permitting the full realization of human potential. There are 17 goals, 107 outcome targets, and 62 targets for implementation. And we have to do it by 2030. So what, then, is our role as Canadians? We must take on the challenge given us as lucky citizens. It’s the right thing to do. I’m speaking as though these failures of the Canada to which we aspire are recent. They’re not. I’m naïve, but I’m not that naïve. After all, we are the nation of Japanese internment camps. We are the nation of the Chinese head tax and Africville. We are the nation of Komagata Maru and provincial eugenics programs. We are the nation of “none is too many.” We are the nation that created and sustained residential schools. These are our stories too. They are not lapses in our citizenship. They are not moments when we temporarily forgot what it was to be Canadian. They are real and they are stories we tell—as uncomfortable as we are in the telling. We feel a deep, cold, dark discomfort when confronted with those stories of ourselves. The truth is not easy. It wasn’t easy for the victims of residential schools to tell their stories to the Truth and Reconciliation Commission. It wasn’t easy for Canadians to bear witness to those stories. But it is profoundly important that we did and that we do. But there’s something noble in this. We cannot shy away from these stories of divisiveness. In telling those stories alongside our origin stories, we move forward. But there is also something noble and true and real and perfect and Canadian in the stories that we tell that inform us about who we want to be. The stories of the best Canada. The stories of the Canada to which we aspire. They allow us to proudly say to the world who we are and what it means to be Canadian. They are stories of ideas and, more important, they are stories of actions. Because the best stories are stories of action. Stories of everyday people using their everyday hands and their everyday voices to make extraordinary change. Because it’s the right thing to do. Let’s start with us—our actions as individuals. A few days after that, they came to me with a simple idea: Three Things for Calgary. A social movement that encourages every citizen, every year, to do at least three things for their community. Three things, big or small. I thought this idea was crazy. It’s paradoxically too simple and too complex, I said. It’s too simple because we’re not telling people what to do. I’m a researcher, and I know the research shows that the number one reason people don’t volunteer is “nobody asked me.” We have to match people with non-profits. We have to give them ideas. It’s too complicated because we want to lower the barriers. Why ask people to do three things instead of one small thing? It turns out the weaknesses I saw were the strengths of the idea. In not telling people what to do, we allowed them to answer two questions for themselves: What do I care about? What am I good at? It’s at the nexus of these two things that people figure out the right thing to do. And they do things I would never have thought of. Like the mum who had the terrifying experience of rushing her child to the children’s hospital and spending the night in the emergency room. She didn’t get any sleep, of course, and felt awful in the morning as she took her daughter to various tests and appointments. When they were all safely at home, she reflected on the experience. And now, every year, she conducts a toothbrush drive for the Alberta Children’s Hospital ER. Not kids’ toothbrushes—adult ones. This is so that parents, having gone through the scariest night of their lives, can brush their teeth in the morning and feel just a little more human. And as they brush their teeth, they are reminded that they live in a community that cares about them—that has a stake in them. For that mum, it was the right thing to do. And, of course, it’s not really about doing three things every year. It’s about setting up an expectation for a lifetime of service. It’s about creating a habit of service. It’s about internalizing the right thing to do and doing it. And that habit manifests itself every day in a million little ways. This was never on display as much as during our community’s greatest challenge: the 2013 floods. I won’t dwell on the crisis—that’s a whole other speech—but I’ll share a couple of, you guessed it, stories. I was skeptical, but I went to the stadium to meet the few volunteers I expected. You’ve probably seen the pictures. I was greeted by thousands of people—some in work boots and some in flip-flops—united only in their desire to help strangers in their community. And they went. And they went. And they went. In the hundreds and thousands, they went. The largest outpouring of humanity I have ever seen. Not organized, driven only by the very real, the very Canadian, desire to help. Because it was the right thing to do. I got into a habit during the flood of just taking quiet walks in the flood-impacted neighbourhoods. If I could steal away from the emergency operations centre for an hour, I would. No fanfare, just a chance to talk to people about what had happened and how they were coping. On one of those walks, on a quiet street in Rideau/Roxboro, just down from the Mission Bridge, I met Sam and his mum, Lori. They were kind enough to invite me into their home, or what was left of it. Everything was gone; it was stripped down to the studs. I think of Bev. Bev, like so many others in Calgary, went to help a friend. Then she helped the friend’s neighbour, and the neighbour’s neighbour. One day, she found herself in a stranger’s basement and she saw the one thing that finally knocked her to her knees. It was a beautiful photo album—“Our Baby”—and it was ruined. And she made a decision. Bev has a hobby. She’s a quilter. And she decided that she would make a quilt. She would make it good, and she would make it strong. And she would give it to a family that had lost everything. And they would make blanket forts with it. And they would curl up under it to watch a movie on cold nights. And the kids would want it when they left home. And that one family would have a new heirloom and create new memories. Word spread about Bev’s project. People started talking; they wanted to help. A group of senior ladies wanted to help, but didn’t have any materials. Someone organized a small fundraiser and got scraps of fabric and cotton batting. I had no idea any of this was happening until I got a call in September. They were going to distribute the quilts, door-to-door in the flooded areas. Could I please come and say thank you to the volunteers? So, on a sunny and crisp autumn Saturday morning, I went to the Inglewood Community Hall to see 1400 quilts. And my dream for Canada, my dream for this nation in the world, is that simple. That we do the right thing. Can you imagine if for 2017, for the sesquicentennial of this great nation, we give Canada a birthday gift? Can you imagine if Canada gives the world a birthday gift? Can you imagine Three Things for Canada? Let’s make the commitment today to each do three things for our country, for the world, starting now and continuing through our 150th birthday. Showing everyone the right things to do. But the real answer in crafting an ideal Canada—the Canada to which we aspire—lies in engaging muscularly with the past and the future. It means a thousand simple acts of service and a million tiny acts of heroism. It means acting at the community level: on our streets, in our neighbourhoods, and in our schools. It means refusing to accept the politics of fear. And then it means exporting the very best of Canada, that ideal and real Canada, to the rest of the world. I want to leave you with one last story. One I tell all the time. One that I will keep telling, since it encapsulates who we are and who we aspire to be. I had the chance a couple of years ago to visit the 100th Anniversary of a school in Calgary. It’s called Connaught School, named after the Duke of Connaught—the Governor General of Canada, the son of Queen Victoria. Now, the population of the school looks different than when it first opened. Because it’s right downtown, it’s often the first point of arrival for newcomers to Canada. There are 240 students. They come from 61 different countries. They speak 42 different languages at home. I spoke to some of those kids and their parents. I heard horrible things. I heard stories of war and unspeakable poverty. I heard stories of degradation and loss of dignity. I heard stories of violence so horrific I could not imagine one human being doing that to another, let alone in front of a child. I looked out at those kids, sitting on the floor in the gym, wearing their matching t-shirts celebrating their school’s birthday. I looked beyond them, at their parents, in hijabs and kanga cloth, in Tim Hortons uniforms and bus driver caps, in designer suits and pumps. At that moment, it would have been so easy to feel despair, to mourn for our broken world. Because in that second, I had a moment of extraordinary clarity. I knew something to be true beyond all else. I knew that regardless of what these kids had been through, regardless of how little they have or had, regardless of what wrath some vengeful God had visited on them and their families, they had one burst of extraordinary luck. And that luck was that they ended up here. They ended up in Canada, they ended up in Calgary, they ended up at Connaught School. They ended up in a community. They ended up with people who would catch them if they fell. They ended up in a community that wants them to succeed, that has a stake in them, that cares about them. And I knew at that moment, that those kids, right here, right now, would live a great Canadian life. That’s the promise of our community. That’s what I have the humbling responsibility to make real every day. And that’s the opportunity you have. Because it’s the right thing to do. 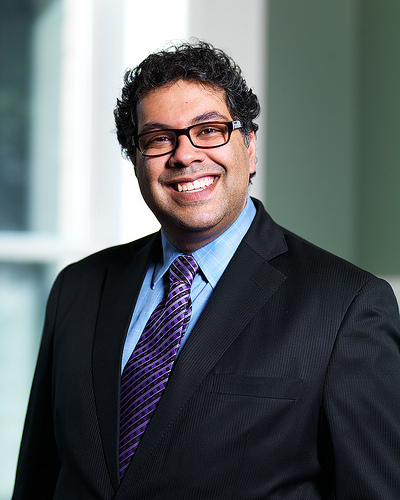 Mayor Naheed Nenshi is currently serving his second term and is the 36th mayor of Calgary, Alberta. In February 2015, he was awarded the World Mayor Prize. Prior to becoming mayor, he was Canada’s first tenured professor in the field of nonprofit management at Mount Royal University’s Bissett School of Business, and a business advisor to North American corporate leaders. Mayor Nenshi grew up in Calgary and has lived and worked in cities around the world before returning home. He holds a Bachelor of Commerce Degree (with distinction) from the University of Calgary and a Master in Public Policy from the John F. Kennedy School of Government at Harvard University, where he studied as a Kennedy Fellow. Visit his web page at the City of Calgary here.